Hens that lay colored eggs just seem to be my favorite girls. I have a chicken that lays a light blue egg and one that lays a light olive egg. I don’t know why but there is something extra special about pulling a blue or green egg out of the nest…in fact any color than white it pretty exciting to me. It is like Easter everyday! So if you’re looking to add some color to your egg basket I’m here to help that happen! I have listed some great chicken breeds that will offer a rainbow of unique colors to your coop. I’m sure I haven’t listed every hen that will lay colorful eggs; this isn’t an exhaustive list. However these are the chicken breeds I’ve had personal experience with and I feel comfortable recommending them. Rhode Island Reds – one of my personal favorites as they are great layers with a fun personality. Whenever we have a RIR they are usually the queen of the flock. 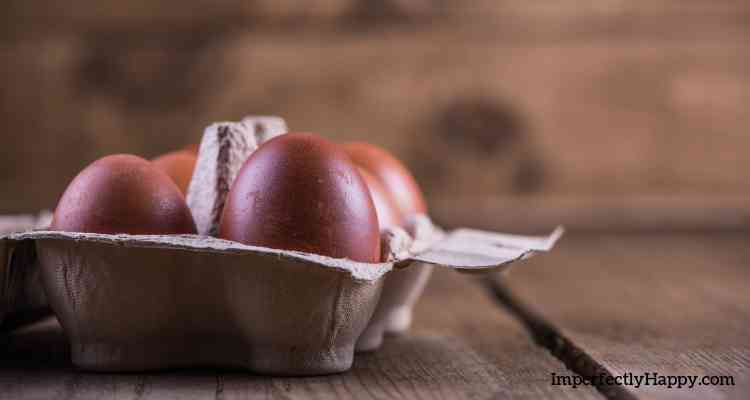 The Rhode Island Red will lay a lighter brown egg, and usually every single day. Barred Rock – another great brown egg layer. The Barred Rock is one of my youngest daughter’s favorite breeds. I have found that ours have had great personalities, though they are a bit more on the “flighty” side. Great layers! Wyandottes – lays a big brown egg. The Wyandottes are a truly beautiful bird that come in several varieties! The Wyandotte hens I’ve had tend to go broody more often than other breeds; something to consider when you’re looking for layers. Australorp – lays a large brown egg. These are gentle giants as hens go. A really sweet, docile bird that can be great if you have the space for them. Marans – The Maran is thought to have originated from several heritage breed chickens. They are great layers who produce a gorgeous dark brown egg; simply stunning. The Maran is known to be a docile bird and a great forager so they’d be perfect for free range chicken flocks. Cream Legbar – lays a beautiful blue egg. I don’t have a Cream Legbar yet but I’ve been very impressed with my research on this bird. We are hoping to add in 2 hens this fall. They can be hard to come by and apparently Martha Stewart keeps some (la te da). Araucana – lays a blue egg. The Araucana is a very rare bird, do your research if you really want a true Araucana. Your best bet is to find a reputable breeder. Ameraucana – lays eggs ranging from blue to green. Not to be confused with the Araucana, the Ameraucana is its own breed and lays eggs in a range of blue to green. I have 2 of these birds and they are fun to watch but tend to be a bit nervous and flighty; but that is just my experience. 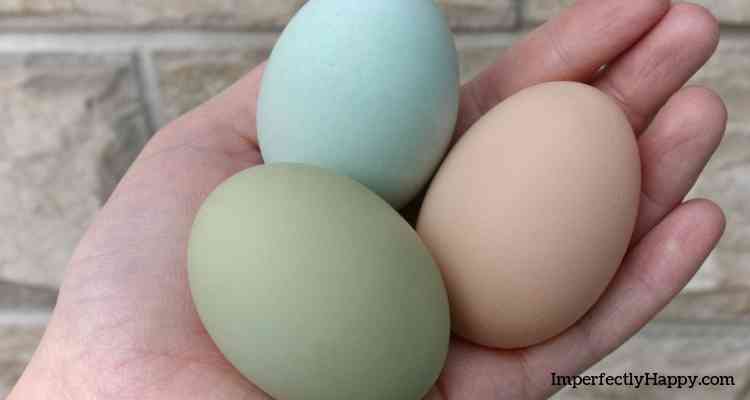 Easter Egger – the EE hen can lay a wide variety of colors from cream to pink and into blues and greens. This is a hybrid bird so you won’t know what you’re going to get until she lays. Generally a docile bird that lays well. Olive Egger – this hen has the capability to lay a light olive to dark olive green egg. The Olive Egger is a hybrid bird and most of the breeders won’t tell you exactly which birds they are using in their program. But first generation layers won’t always have an olive colored egg or it will be very light. Further into generations you’ll get truer olive colored eggs. Fun! I love having a backyard chicken flock no matter what color eggs they produce. But I do love a beautiful egg shell. There is something special about having a bowl full of blue, green and brown eggs to choose from every morning. I know that I go out of my way to choose chickens that lay colorful eggs. I hope my little guide to hens that lay colored eggs will help you choose your next breed. It is like Easter all year long when you have colored eggs in the nest! 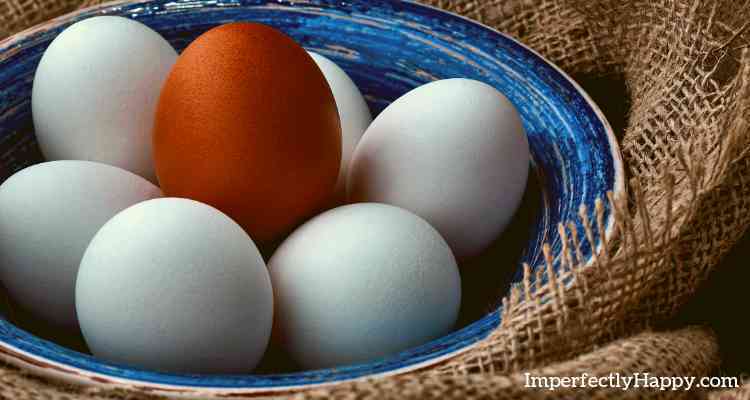 Do you raise hens for colored eggs? Which breed do you like best? 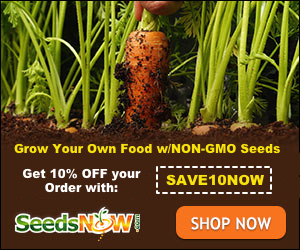 Fight Your HOA For Backyard Chickens – And WIN!